Red Bull F1 team boss Christian Horner was happy to see his side split the faster Ferrari duo in the Chinese Grand Prix. Red Bull Formula 1 team principal Christian Horner was pleased his side was able to split the Ferrari duo having pulled off a strong strategy at the Chinese Grand Prix. 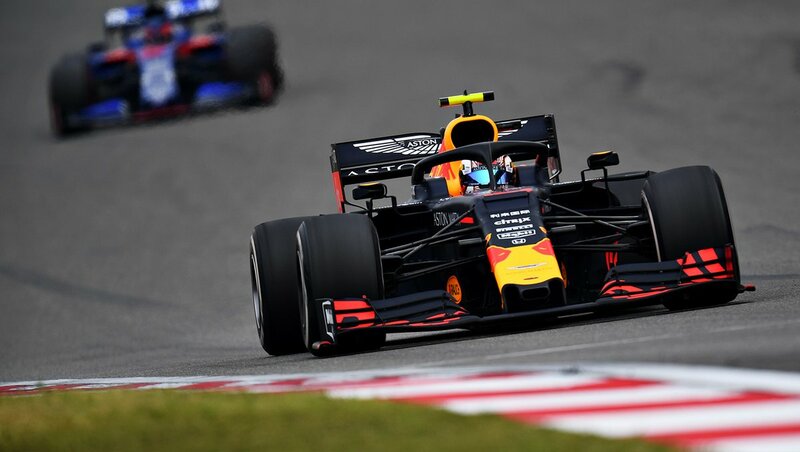 In an attempt to get Max Verstappen into the fight for the podium, Red Bull triggered the leading runners into a two-stop strategy when he pitted for Hard tyres on Lap 18. Having found himself marginally behind Sebastian Vettel after both drivers had stopped, Verstappen pulled off a DRS-assisted pass with a lunge into the Turn 14 hairpin, though he locked up, enabling Vettel back into a net third. The Dutchman dropped back from Vettel but was able to beat Charles Leclerc to fourth place when Leclerc finally pitted following a long opening stint. “I think good strategy managed to nick a place ahead of the Ferraris today,” Horner told Sky Sports. “They probably in all honesty were slightly quicker in the race, but I think strategy got us that position on Leclerc, and obviously Max has driven the wheels off the car all afternoon. Asked what Red Bull is lacking compared to Mercedes and Ferrari, Horner replied: “I think we had a good weekend here. I think the chassis has actually made a good step forward. In all of the corners we’re performing well. Verstappen felt Red Bull got the most out of the race thanks to its strategy. “I think there was not much in it,” he said. “I was pushing really hard to try and stay with them. I think as a team we did a good job today to undercut a Ferrari and stay ahead as well. We maximised the result to be honest. Pierre Gasly scored his best result of the season in a distant sixth, while the Frenchman also made the most of a late free pit stop to switch onto Soft tyres and set the fastest lap of the race on the final lap, snatching the bonus point away from Vettel. “Points mean prizes - I think at the end of the year, they all add up,” Horner said. Gasly said he was left with mixed emotions after ending up well adrift of Verstappen once again. Asked if he was happy with his performance, Gasly said: “Yes and no. For sure I’m happy to get my first fastest lap in Formula 1. We saw we had a free pit stop and decided to go for it. “After that I think slowly, the feeling is improving inside the car. There is still a lot of work to do. Slowly we are getting there. We do one step every weekend. For sure I would like to do three, and for things to go faster. We’ll keep working.